14 Jan. 15 May. 14 Sept. The Abbot ought always to remember what he is, and what he is called, and to know that to whom more is committed, from him more is required; and he must consider how difficult and arduous a task he hath undertaken, of ruling souls and adapting himself to many dispositions. Let him so accommodate and suit himself to the character and intelligence of each, winning some by kindness, others by reproof, others by persuasion, that he may not only suffer no loss in the flock committed to him, but may even rejoice in their virtuous increase. Saint Benedict returns to the principle of being what one is called. The abbot, believed to hold the place of Christ in the monastery, is bound, insofar as human frailty allows, and in humble reliance on grace, to be a father to his sons, a shepherd to the flock entrusted to him, a pontiff persevering in prayer before the altar and at the altar. 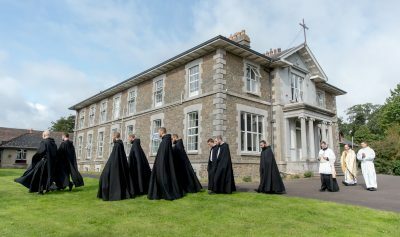 The abbot can count on his grace of state, without however presuming that this grace of state is given him in an unconditional way: he must hold himself in readiness for it, ask for it in persevering prayer, and keep himself empty–handed and expectant before Our Lord. The task of the abbot is difficult and arduous; it asks everything of him. He cannot rule souls without taking into account each one’s heredity, family background, education, personal history, infirmities, struggles, and needs. No two brothers are alike. The abbot must, as Saint Benedict says, “accommodate and suit himself to the character and intelligence of each”. The abbot cannot stand on lofty principles, expecting that all his monks will be able to rise to his exigencies. On the contrary, the abbot must meet each brother in his infirmities, contradictions, uncertainties, fears, failures, and sins. The abbot cannot work miracles; he can only pray, listen to the murmur of the Holy Ghost, return again and again to the letter of the Holy Rule, ask for help whenever he needs it, walk with each brother, and, like the Good Shepherd, carry the brother who is unable to walk. A monastery is not ruled by reading the directions on the tin and following them. Were that it were so simple! Some brothers are to be treated with gentleness, others by reproof, others by using persuasion. To one brother the abbot must say “yes”, to another “no”, and to still another, “not now”. The end that the abbot must keep in view is that he lose not one of those whom God has entrusted to him. 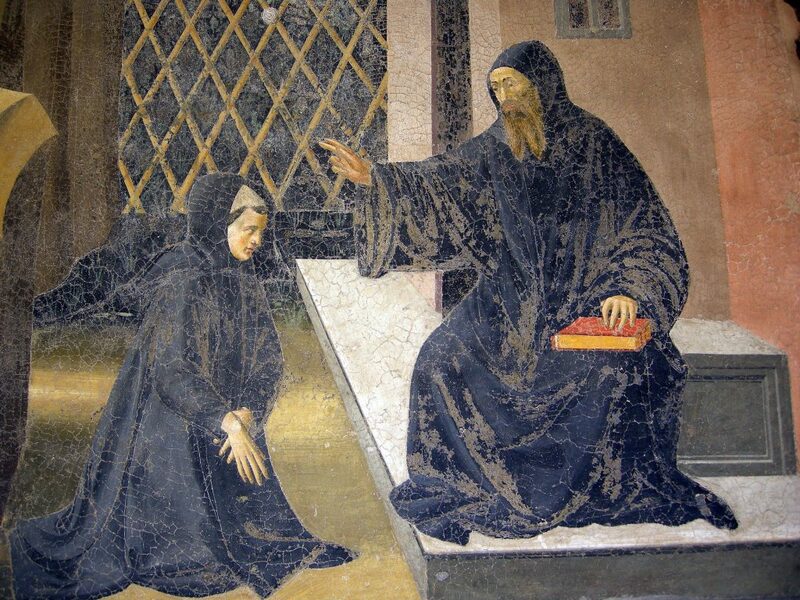 Saint Benedict says this explicitly: “that he may not only suffer no loss in the flock committed to him, but may even rejoice in their virtuous increase.” When the abbot finds himself incapable of helping a brother, he does well to mobilise the whole community in prayer. This, I believe with all my heart.